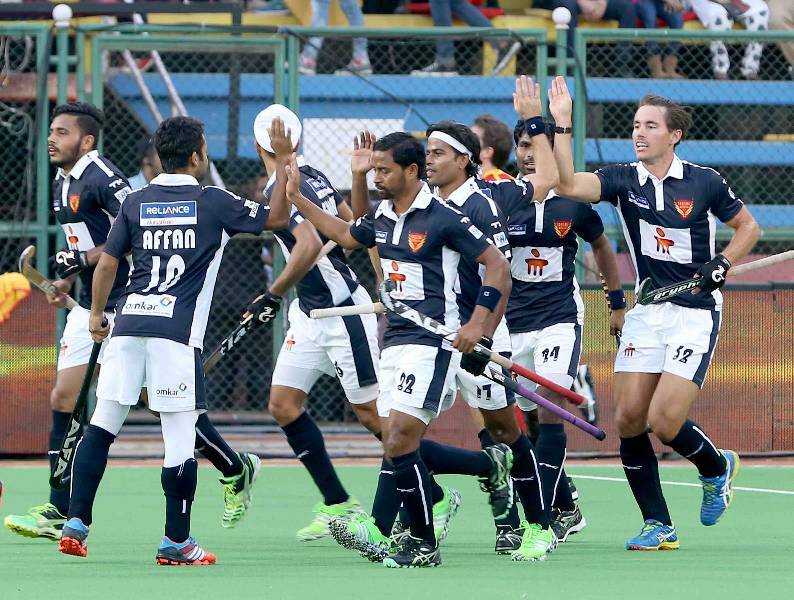 Dabang Mumbai will travel to Ranchi to play their last away game of the Coal India Hockey India League against defending champions Ranchi Rays. The Alphas come into the match on the back of a 1-5 defeat against Jaypee Punjab Warriors at home, however, they won the previous 3 encounters on the trot to give them hope of a semi-finals spot. Their opponents on Valentine's Day have already sealed a spot for the semis, courtesy a 6-0 home win vs Uttar Pradesh Wizards. The two teams met earlier in the tournament on 3rd February where Alphas’ young star Affan Yousuf was given his marching orders for a serious foul, however, 10-man Alphas came back from behind to win the thrilling encounter 7-5 to register their 1st win of the campaign. Dabang Mumbai will be looking to do the double over the defending champions in order to boost their hopes of making the semi-final. German international Florian Fuchs is the Alphas’ top scorer of the campaign with 8 goals (4 field goals) to his name. The 24-year-old forward will be hoping to score once again, but more than that, he will be hoping for a win that will push his team higher up the table. 20-year-old Nilakanta Sharma has scored 4 goals (2 field goals) for the Alphas in this year’s HIL. Both of his goals have come at an important time in the match where the Alphas were on the losing end and needed someone to step up. Englishman Ashley Jackson is the Rays’ highest goal scorer with 11 goals (2 field goals and 7 penalty corners) to his name in the ongoing tournament. His awareness in midfield has proved to be the deciding factor in grinding out important results for the Ranchi-based franchise. Former Indian captain, Sandeep Singh is an ace drag flicker and has already converted 2 PCs in the campaign for his team. Apart from the penalty corners, the 29-year-old is also an able defender and will look to blunt out a lethal looking Dabang Mumbai attack.